Massimo Pigliucci further explores the borderlands between science and nonsense in the second edition of 'Nonsense on Stilts' – AiPT! Nonsense on Stilts: How to Tell Science from Bunk begins by describing a conversation between its author, Massimo Pigliucci, Professor of Philosophy at the City College of New York, and a relative he pseudonymously refers to as Ostinato. Ostinato believes in seemingly every conspiracy theory and pseudoscience under the sun — from the false belief that vaccines cause autism to 9/11 conspiracies to climate denialism — and proves impervious to all arguments challenging his logic and beliefs. You probably know your own Ostinatos, for whom facts are only legitimate insofar as they confirm his or her worldview. If so, the newly-released second edition of Nonsense on Stilts is for you. 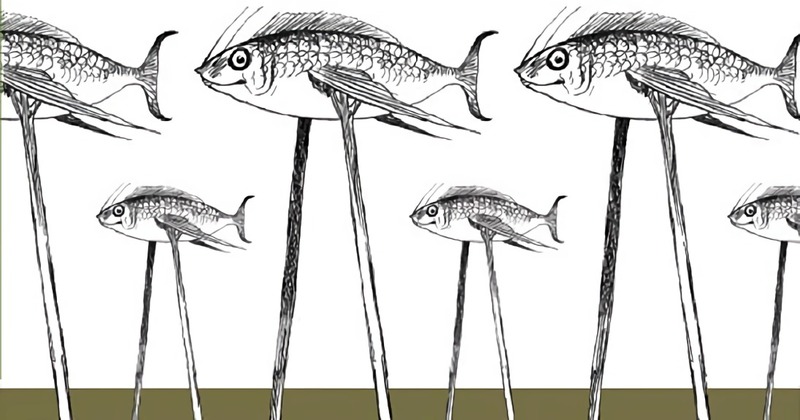 Nine years ago, Pigliucci wrote Nonsense on Stilts to examine the spectrum of the public’s scientific understanding, ranging from hard and soft science to the murkier “almost science” that includes unfalsifiable speculation heavily informed by science, to straight up pseudoscience. He’s uniquely qualified to examine these topics — a former Theodosius Dobzhansky Prize-winning professor of ecology and evolution at Stony Brook University, a philosopher of science, a fellow of the American Association for the Advancement of Science and the Committee for Skeptical Inquiry, and a former co-host of the Rationally Speaking podcast, produced by the New York City Skeptics. In its exploration of why people believe in nonsense, Stilts touches on similar themes to last year’s The Skeptics’ Guide to the Universe: paranormal claims like ghosts, psychics and UFO sightings, as well as an analysis of politically-driven anti-intellectualism. Indeed, one of the strengths of this second edition is it affords Pigliucci the opportunity to connect his ideas with more current events, like the 2016 U.S. presidential election. Where this book differs is in approach. Drawing from his philosophy of science expertise, Pigliucci emphasizes the nature of science itself. A former biology professor, Pigliucci is able to provide readers with an inside look into the halls of scientific academia and to share insights of the internal heated debates waged within the scientific community. It’s here he’s able to deliver blows to the sacred cows of even brilliant and revered experts in the science world. One such debate concerns string theory. String theory is a beautiful idea: it posits that everything in the universe is made of just one kind of thing, which assumes a variety (not an infinite variety, mind you) of forms, depending on a simple property such as its vibration frequency. It is so elegant an idea that it deserves to be true. But is it? Therein lies the problem: at the moment at least, string theory does not seem to make empirically testable predictions that both differ from those of other competing theories and can conceivably be evaluated in actual experiments. If one defines science as a type of inquiry into nature characterized by the availability of empirically testable hypotheses, then string theory is, strictly speaking, not science. But while Pigliucci at least finds string theory “mathematically rigorous” and “informed by the empirical science,” there are other fields that fall within his “Almost Science” definition, such as evolutionary psychology, that risk leading some to embrace very troubling and dangerous (potentially wrong) conclusions. In 1975, when Edward O. Wilson, a researcher of social insects, published his book Sociobiology: The New Synthesis, he stirred controversy by extending his evolutionary psychological conclusions to humans. That may have inadvertently opened the door to deeply flawed works such as Charles Murray’s infamous The Bell Curve: Intelligence and Class Structure in American Life, with its “largely unsubstantiated claims about genetic determinism of human cognitive traits.” Murray has used his now-debunked research as the basis of a campaign to argue, for all intents and purposes, that some races have an intelligence capacity inferior to native-born whites. Pigliucci is able to deliver blows to the sacred cows of even brilliant and revered experts in the science world. Unfortunately, this second edition of Stilts doesn’t address the second life The Bell Curve is experiencing at the moment in the public discourse. Years after becoming a pariah in the halls of science, Murray’s ideas have recently found new life among groups within the American right-wing identifying as the Intellectual Dark Web, who have embraced Murray as a martyr whose ideas they say are only being silenced because of political correctness. Another possible failing of Nonsense on Stilts is the question of audience. Pigliucci’s ideas are most likely to find their way into the hands of those who agree with him from the start, or academics who are already well-versed in many of the book’s topics and are coming in primarily for Pigliucci’s perspective. It’s a tough sell for a general lay audience being introduced to these ideas for the first time. Stilts‘ largest audience may more be people like myself — science fans with a little bit of knowledge and a lot of curiosity about science, skepticism and critical thinking. This is a book for the curious. Nonsense on Stilts asks its audience to challenge themselves and their strongest-held, core beliefs. Skepticism requires constant vigilance, and new forms of nonsense emerge all the time. It’s easy to be skeptical of the beliefs of others that you perceive as silly; the hard part is reminding yourself to always ask, am I the one with the silly beliefs?